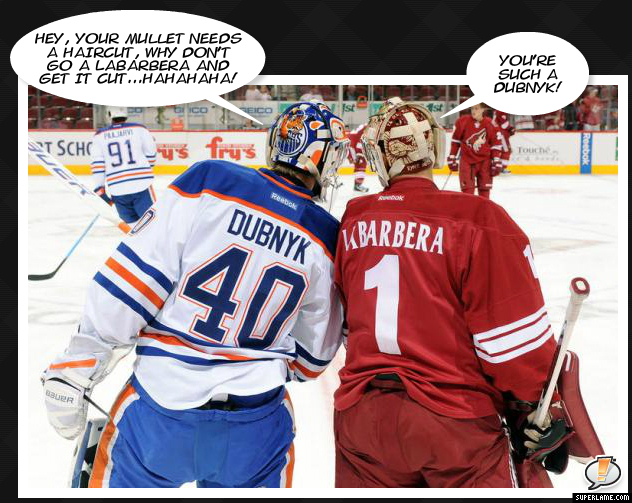 North America's Favorite Hockey Related Humor Site. Operating since 1946. The Columbus Blue Jackets are Poised to Make the Playoffs, and This Makes Arty Very, Very Happy. How We Imagine Every Penguins Fan This Morning After the Iginla Trade. Hey! You Got Your Game of Thrones in my NHL! Hey! You Got Your NHL in my Game of Thrones! Hey Idiots, Check out Bruins Assistan Coach Geoff Ward Throwing Something in a Dude’s Beer. So, Eric Lindross is Fat Now. Am i a clown to you? What the Hell is Icing? What’s so odd about this picture you ask? Well I’ll tell you…that’s an ESPN microphone!!! ESPN?!?!? WTF?!?! They were involved with hockey way back then and now they don’t want to have any thing to do with the greatest sport on this planet. Tisk tisk ESPN. Your loss. 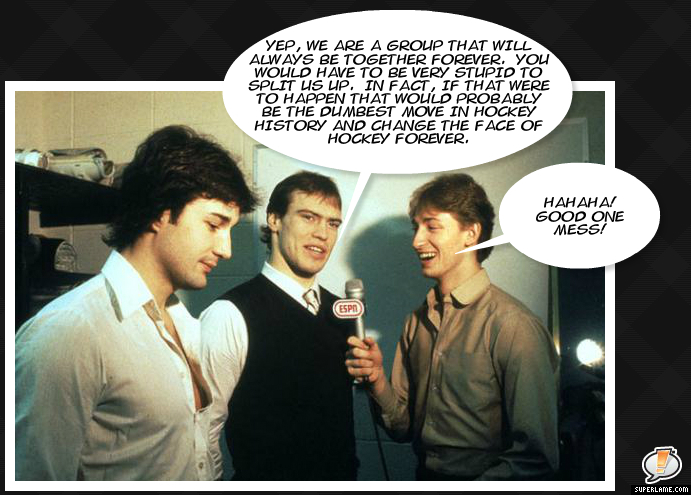 Uh, me thinks Messier was on to something there. This is why coaches don’t want you go drinking with the other team the night before a game. 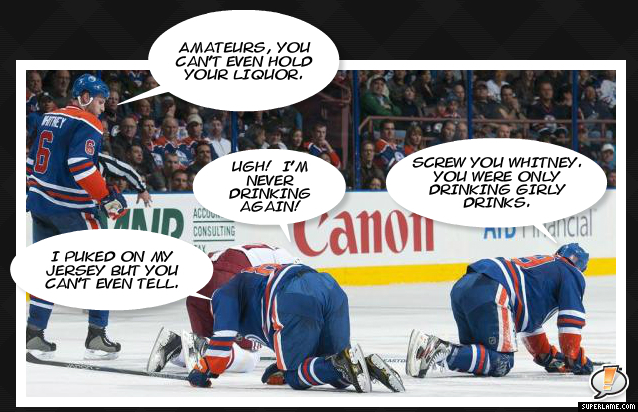 Hockey players these days are light weights. Back in the day players would be drinking on the bench while playing. Posted: 11/23/2011 by xxxman21 in What's in a name? Next thing you know this will be turning into a Yo Momma fight!!! 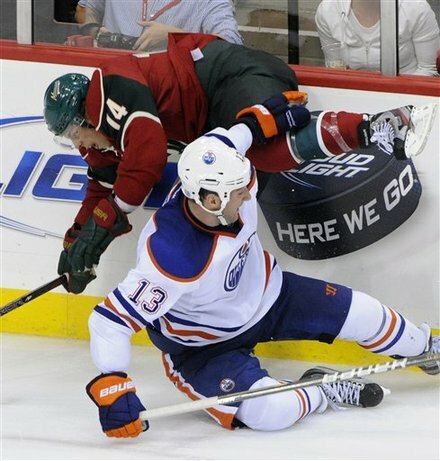 In order to help American viewers, the Wild approved the use of a giant puck. 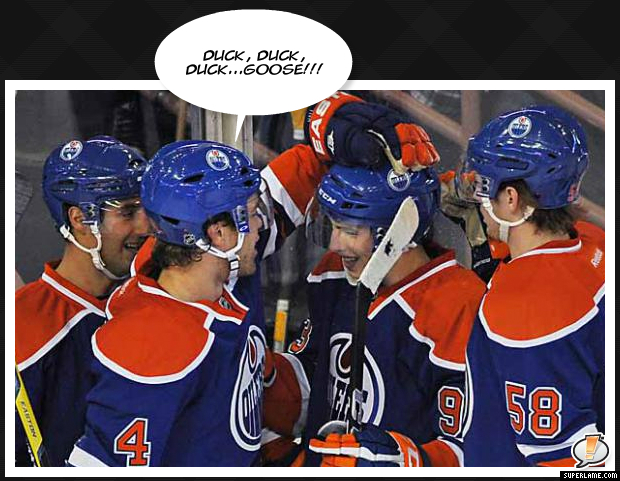 Man, they weren’t kidding, those Edmonton Oilers are a young bunch! That’s a typical run of the mill end of practice ritual. A rousing game of duck duck goose followed by a bottle of warm milk and a 2 hour nap. 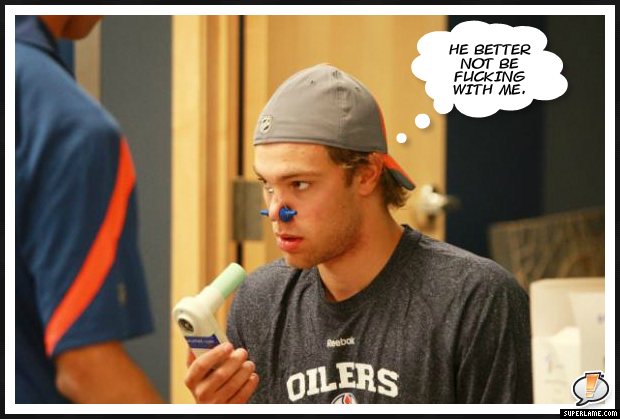 Khabibulin assures Taylor Hall that this is the way Cops give breathalyzer tests. Little does Hall know that the breathalyzer part has been up Khabi’s pooper.